Copyright law in Finland could see dramatic changes thanks to a unique "crowdsourced" proposal which will be voted on next year. In Finland, citizens have since last year been able to put forth proposals for new laws which, should they receive at least 50,000 votes of support in six months, will be voted on by parliament. In many ways, it's like the We the People petitions to the White House in the U.S., with the big difference being that the proposals actually have a chance of becoming law rather than just an amusing story. One such proposal that made it over the limit is "The Common Sense in Copyright Act," which achieved the 50,000 vote minimum just one day before the deadline. If approved, it will reduce penalties for copyright infringement, increase fair use, do away with "unfair clauses in recording contracts" and allow people to legally copy media they already own. 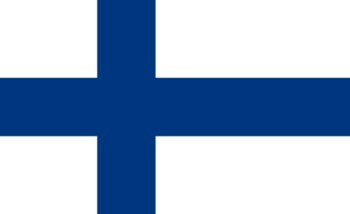 Aside from its potentially huge impact on copyright in Finland and beyond, the proposal is also noteworthy because it will be the first time legislators vote on a copyright law drafted by citizens. "Members of Parliament are quite open about the fact, that copyright laws are handed down to them from the international lobbyists," Open Ministry Chairman Joonas Pekkanen told TorrentFreak. "If we do not push back, they will keep on rubber-stamping harsh legislation and infringing on consumer rights." There's no guarantee that the proposal will actually be made into law but as TorrentFreak noted, 50,000 votes of support in a nation with just over four million eligible voters is significant, and not easy to ignore. The vote on "The Common Sense in Copyright Act" is expected to take place in early 2014.